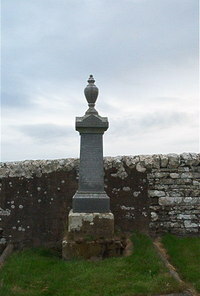 Erected by C F Reid Lybster in loving memory of his son. Willie died 4th November 1891 aged 3. James Reid died 10th August 1899 aged 21. Mother Elizabeth Jack died 2nd March 1901 aged 45. Father C F Reid died 31st December 1922 aged 85.